The staff at Frankel Dentistry loves to create beautiful custom smiles. At Frankel Dentistry, we offer a wide range of cosmetic procedures. From teeth whitening and cosmetic bonding to veneers, gum lifts, and Invisalign, we will help you achieve the smile that you have always dreamed of. The staff at Frankel Dentistry loves to create beautiful custom smiles. We offer a wide range of cosmetic procedures. From teeth whitening and cosmetic bonding to veneers, gum lifts, and Invisalign, we will help you achieve the smile that you have always dreamed of. 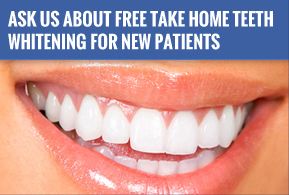 To help you learn more and plan for your new, beautiful smile, Frankel Dentistry offers complimentary consultations. During this appointment, you will have a detailed smile evaluation, photographs taken, and a discussion about exactly what you want for your beautiful smile. We will then work with you to construct a final arrangement, which takes into account your financial limitations and time commitments. Together, both you and Frankel Dentistry will develop a plan that is the perfect solution.